I Can't seem to create a new topic. I have strong suspicion that this is a Video and not by a normal camera. Supposedly Richard E Aaron took this photo of Led Zeppelin at Madison Square Garden in 1977 but there are 2 horizontal lines going across the screen. I cant find any real contact info to get a hold of Richard and have a strange feeling this is video and not taken by a normal camera, especially a camera from 1977. Any help or suggestions ?? If you zoom into the Zeppelin photo you see the horizontal line go across the whole screen onto the Bottom Bass Drum set and it's distorted and stretched. The lines in the first photo appear to me to be from digital distortion which can be caused by bits being dropped when copying .jpeg images (or other digital formats) from damaged media. I have run into it when displaying images from old CD-Rs or even HDDs that have deteriorated. The photo could have been digitized by scanning, so it is quite possible it was taken at the time and place stated. I was actually thinking from a scanner possibly, like the scan bar area had a hiccup in that area. 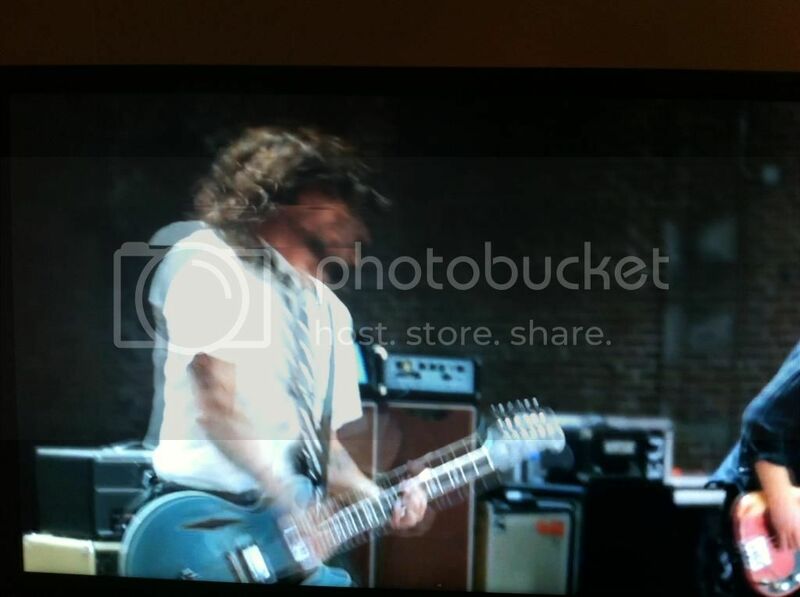 Overall the photo seems to be too muddy and possible screen shot of a video. The 2nd photo is from some editing and the person stated issues with his Nvidia video card.